Mr Gaga 3 - Anaphaza. Photo credit Heymann Brothers Films. Courtesy of Mongrel Media. Mr Gaga 17. Photo credit Gadi Dagon. Courtesy of Mongrel Media. 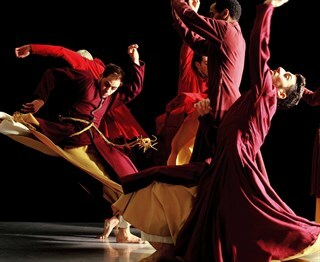 Mr Gaga 20 - Ohad Naharin - Last Work. Photo credit Gadi Dagon. Courtesy of Mongrel Media. Mr Gaga 5 - Anaphaza. Photo credit Heymann Brothers Films. Courtesy of Mongrel Media. Mr Gaga 21 - Ohad Naharin - Tabola Rasa. Photo credit Gadi Dagon. Courtesy of Mongrel Media. Mr Gaga 14 - Tabula Rasa. Photo credit Gadi Dagon. Courtesy of Mongrel Media. Mr Gaga 6 - Ohad Naharin. Photo credit Gadi Dagon. Courtesy of Mongrel Media. Mr Gaga 13. Photo credit Gadi Dagon. Courtesy of Mongrel Media. Mr Gaga 11. Photo credit Gadi Dagon. Courtesy of Mongrel Media. 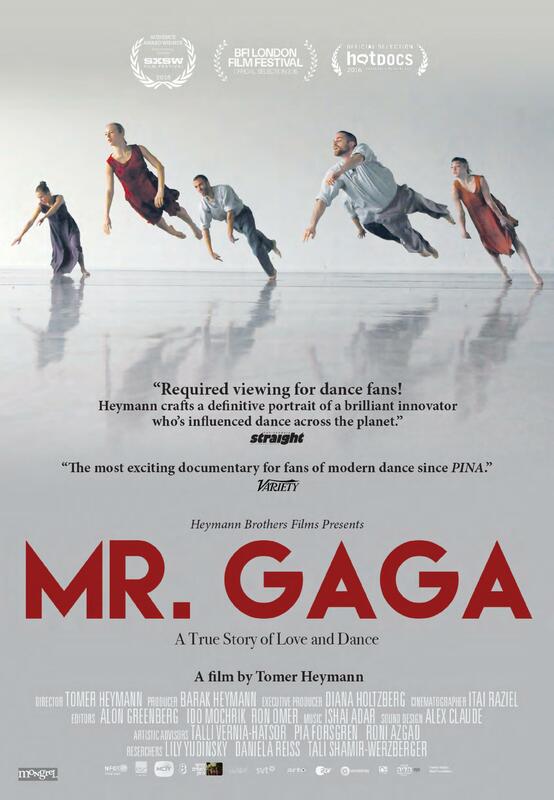 Mr Gaga 19 - Ohad Naharin - Anaphaza. Photo credit Gadi Dagon. Courtesy of Mongrel Media. Mr Gaga 1 - Anaphaza. Photo credit by Gadi Dagon. Courtesy of Mongrel Media. Mr Gaga 16. Photo credit Gadi Dagon. Courtesy of Mongrel Media. Mr Gaga 2. Photo credit by Gadi Dagon. Courtesy of Mongrel Media. Mr Gaga 9. Photo credit Gadi Dagon. Courtesy of Mongrel Media. 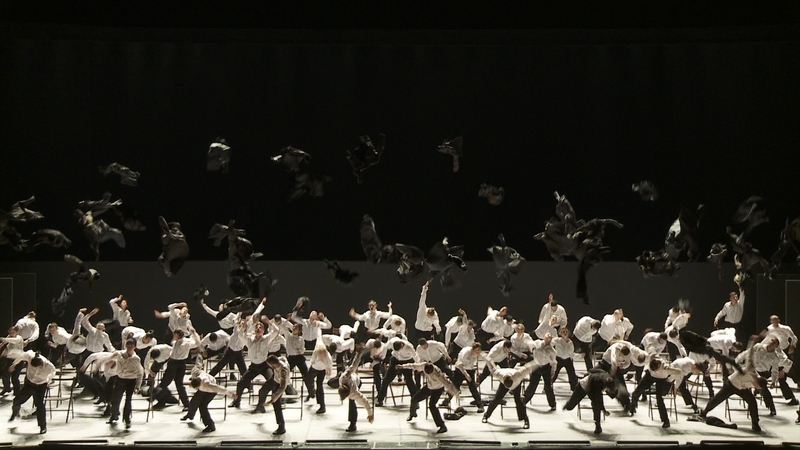 Mr Gaga 23 - Ohad Naharin - Kyr. Photo credit Gadi Dagon. Courtesy of Mongrel Media. 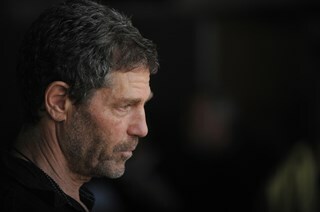 Mr Gaga 10 - Ohad Naharin. Photo credit Gadi Dagon. Courtesy of Mongrel Media. Mr Gaga 22 - Ohad Naharin - Anaphaza. Photo credit Gadi Dagon. Courtesy of Mongrel Media. 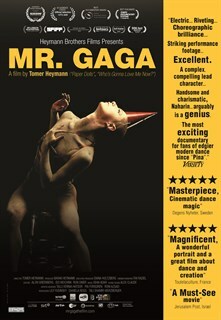 Mr Gaga - Director Tomer Heymann. Courtesy of Mongrel Media. Mr Gaga 8 - Last Work. Photo credit Gadi Dagon. Courtesy of Mongrel Media. Mr Gaga 15. Photo credit Gadi Dagon. Courtesy of Mongrel Media. Mr Gaga 24 - Ohad Naharin - Zina. Photo credit Gadi Dagon. Courtesy of Mongrel Media. Mr Gaga 4 - Anaphaza. Photo credit Heymann Brothers Films. Courtesy of Mongrel Media. Mr Gaga 7 - Ohad Naharin. Photo credit Gadi Dagon. Courtesy of Mongrel Media. 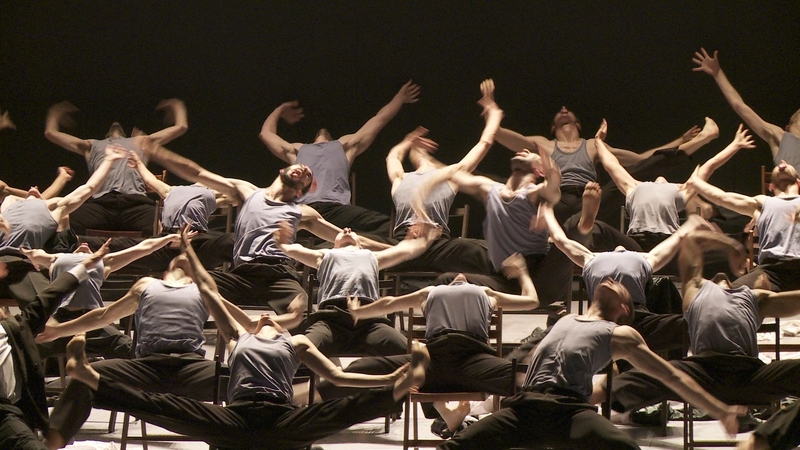 Mr Gaga 18 - Ohad Naharin - Arbus. Photo credit Gadi Dagon. Courtesy of Mongrel Media. Mr Gaga 12 - Ohad Naharin. Photo credit Gadi Dagon. Courtesy of Mongrel Media.